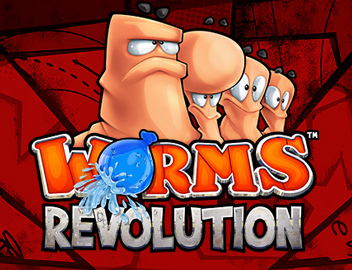 Worms Revolution Extreme out next week for PlayStation Vita! Since the launch of the PlayStation Vita, Team17 fans have been requesting a version of Worms™ for the handheld platform that they can play on the go. We’re really excited to announce now that that version is coming soon! Worms™ Revolution Extreme will be available to download for PlayStation Vita via the Sony Entertainment Network Store on the 8th October 2013 (US) and the 9th October 2013 (EU) for just £11.99/€14.99/$14.99. Spanning a whopping 47 missions and 25 puzzles to beat and complete. Missions are set amongst a variety of different environment themes including: Sewer, Farmyard, Spooky, Beach, Mars, Funfair or Medieval! Worms has always been great with friends, or enemies! With Worms™ Revolution Extreme that’s no different as you’re able to take part in local or online multiplayer battles for up to four players! Choose from one of three game modes: Deathmatch, Forts and Classic and getting firing those Bazookas! New for PS Vita (and PS3) is the cool Cross-Gifting feature, Treasure Mode! This all new mode enables you to link up with your friends who have a PS3 system (or vice versa). You can help each other unlock 10 special gifts using a lock and key system. Meet the requirements in either offline Versus or online battles to receive a key and connect to a friend’s PlayStation 3 system with the corresponding chest to unlock the treasure! We’ve also utilised the PS Vita’s touch screen controls and added in the ability to use the front touch screen to select items and zoom/pan the camera and the back touch pad to control the aiming reticule to aim your weapons. Keep your worms close and mobile using Cross-Save! This cool feature allows players to carry on their PlayStation 3 save game progress on their PS Vita, or vice versa. Worms™ Revolution Extreme will be available to download for PlayStation Vita via the Sony Entertainment Network Store on the 8th October 2013 (US) and the 9th October 2013 (EU) for just £11.99/€14.99/$14.99. For those who don’t already own Worms™ Revolution for PS3, it’s currently available with a 50% discount available for PlayStation Plus members! Limited time offer ends 8th October. Worms™ 3 Update Adds Awesome Terraria and Halloween Content!